Connect and communicate with your customers, employees and business partners any place, any time and on any device. 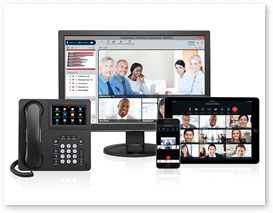 Avaya IP Office is ideal for small and midsize businesses that want powerful and scalable communication solutions that help them to get work done, fast. Easily and securely integrates with the most popular smart devices, bringing full desktop communication capabilities to employees no matter where they go. With multi-channel access (chat, call, email, and text), you'll connect customers to the right person, with the right information...the first time. Delivers incredibly sophisticated collaboration capabilities – multi-party audio, video and data collaboration – from anywhere, using virtually any device (smartphones, tablets, PCs). Unparalleled full stack solution enables seamless integration and migration between premises-based and true-hybrid cloud. 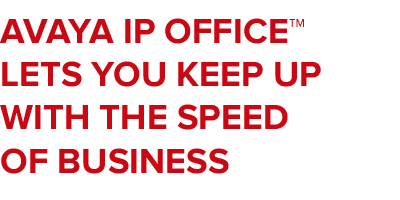 With IP Office, you’re investing in a solution that cost-effectively scales with your business. From a single site to 150 networked locations, and up to 3,000 users. Wherever you take your business, IP Office will go there with you. 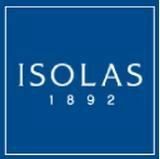 "We have experienced cost savings from the first day of deployment as we started using video extensively for all our meetings and trainings." "Avaya has a flexible and scalable communications solution, providing us with the tools we need and the capability to support our growth."